Incorporate interactive science experiences in your classrooms with cutting-edge kits and activities from HudsonAlpha. HudsonAlpha’s hands-on learning activities engage students and educators and cultivate a robust and highly trained future biotechnology workforce. Through HudsonAlpha kits and classroom modules, students gain a clearer understanding of genetics, genomics and biotechnology-related content. 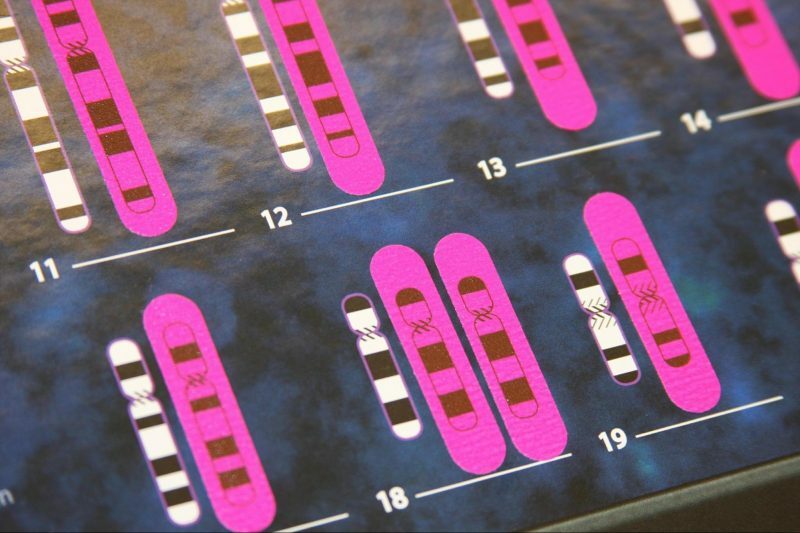 We’ve been building these innovative, hands-on activities since 2007, when HudsonAlpha started a partnership with the Alabama State Department of Education to develop modules and activities for middle and high school students connected to state curriculum requirements in genetics. Today, these kits annually reach more than 86,000 students in Alabama and across our nation. Currently available kits explore chromosome behavior in cells, genetic disorders and bioinformatics databases. 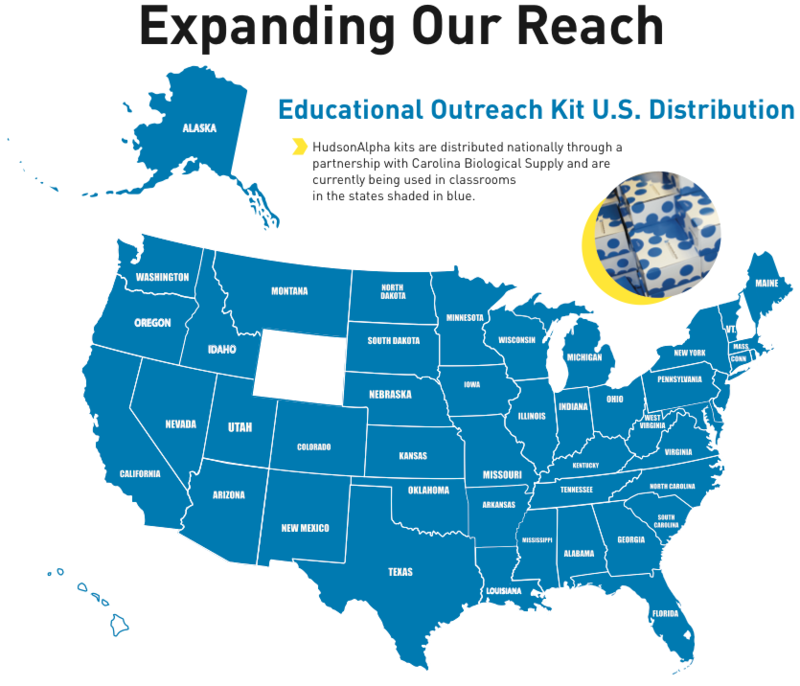 *HudsonAlpha partners with Carolina Biological Supply Company to allow for the promotion and distribution of our educational kits to classrooms around the world.